Side effects: Masteron is regarded by the bodybuilding community as being one of the ‘mild’ anabolic steroids when it comes to side effects. This is due in large part to the fact that Masteron is a DHT-derivative. Having been derived from DHT, it therefore possesses all of the same (or similar) attributes and features that DHT does. This includes the inability to interact with the aromatase enzyme, and therefore be completely void of any Estrogen-related side effects. As previously mentioned, Masteron is totally void of any estrogenic side effects by virtue of the fact that it is a DHT-derivative. Not only does it completely avoid aromatization (conversion into Estrogen), evidence suggests that it behaves as a mild aromatase inhibitor as well. Side effects resultant of Estrogen buildup (such as water retention, bloating, fat retention and gain, and the development of gynecomastia) are completely avoided or reduced with the use of Masteron. Though Masteron holds a weaker androgenic strength rating than Testosterone itself, androgenic side effects are still indeed possible with this compound, especially among those who may be particularly sensitive. Masteron side effects that include androgenic side effects include: an increase in oily skin (as a result of increased sebum production/secretion), increased facial hair and bodily hair growth, as well as the increased risk of triggering MPB (Male Pattern Baldness) in those that are genetically sensitive or predisposed to it. Virilization (the development of male characteristics in women) is also a risk with female use, though its use in female breast cancer patients should attest to its acceptable nature as a female-use compound. Masteron side effects in particular include greater negative impacts on cholesterol and the cardiovascular system than some other compounds. This is largely due to Masteron’s anti-estrogenic capabilities in the body. Its ability to reduce serum levels of Estrogen results in measurable reductions in HDL (‘good’) cholesterol, and increases LDL (‘bad’) cholesterol. Masteron exhibits no hepatotoxicity (liver toxicity), but like any anabolic steroid, it does contribute to suppression/shutdown of the HPTA, thereby reducing endogenous production of Testosterone. Within the medical arena, Masteron was utilized in the treatment of female breast cancer patients. Towards this end, prescription guidelines for Masteron dosages would call for 100mg three times per week, for a grand total of 300mg/week. The duration of this treatment was recommended to be 8 weeks at a minimum. By the 8 – 12-week mark, the physician would provide an assessment of the patient and their progress, and based upon the progress and the prognosis, Masteron may be utilized indefinitely in the treatment of the cancer. It is worth noting that 300mg/week, in retrospect, is far too much for female use and was even admitted somewhat by the medical establishment due to the observation of virilization becoming a frequent issue among patients. Female athletes and bodybuilders would find 50 – 100mg per week a safe and acceptable dosage. 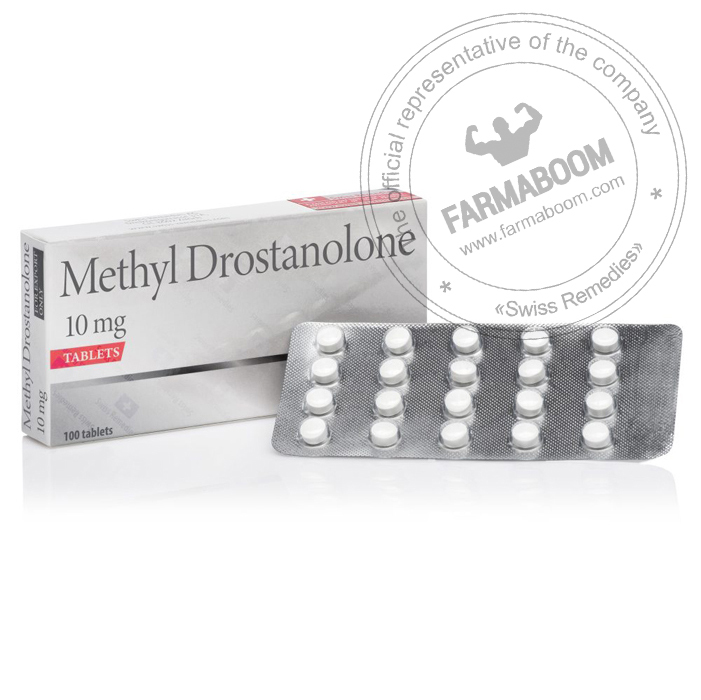 For athletic and bodybuilding purposes for male users, Masteron dosages are in the range of 200 – 400mg per week, and the lower end of this range (200mg) is commonly utilized for pre-contest preparation and cycles. Because of the specialization of Masteron being an aesthetic physique enhancing compound, intermediate and even advanced users tend not to venture higher than the 400mg/week mark. It must be remembered that Masteron is a weak compound where the addition of strength, mass, and muscle is concerned, and there are more effective (and cheaper) compounds for this purpose. 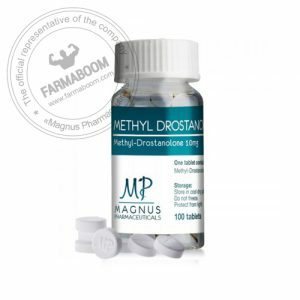 Due to its low to moderate anabolic strength, Masteron is not regarded as being a very good mass addition or bulking compound, and in fact many experienced anabolic steroid users suggest that due to its higher price and its moderate anabolic strength, it is only of real value to competitive bodybuilders who wish to achieve a very hardened and ‘chiseled’ look to the physique once on-stage in a show. When stacked with other particular compounds, Masteron has been shown to bring out a ‘ripped’ physique to an even greater deal. However, these ‘hardening’ properties of Masteron do not exhibit themselves in the user unless he or she possesses a low enough body fat percentage to be able to allow these hardening effects to become visible. This leads to the next major property of Masteron.